So you have no access to Sephora US or Ulta, and want to take advantage of the Black Friday deals and discounts? A number of retailers who ship worldwide offer huge savings over Cyber Weekend. Over the next 12 hours, I'm going to be showing you the best of these. Let's begin with Cult Beauty - they ship free worldwide for orders above £50. They have three Black Friday special offers. The code and details are further below. Here are Cult Beauty's Black Friday special products, discounts, codes and offers you need to know. For purchases of £50, you get £5 off with the code BLACK5. Purchases of £100 get you £15 off with code BLACK15. Purchases of £150 get you £30 off with code BLACK15. Reviewed here. Beautiful, comfortable matte liquid lippies that smell delish. The packaging! And the creaminess! Win-win! Reviewed here. If you've missed out on this palette, here's your chance to buy it - you won't regret it. It is one of my top three palettes for 2016. I bought this in April - it has been a game-changer for my contouring skills ever since. Will review shortly. And, what a STEAL at the price! Rose gold brushes that cost £18 for the ENTIRE seven-piece set, without any discount. Go for it! Perfectly travel-friendly, this palette contains everything you need for a getaway. The ultimate neutral palette, with a range of mattes and shimmers - you need only reach for this every day. Lightweight mousse lipstick that lasts forever. For everyday-wear, I recommend the shade Versailles - perfectly subtle. Now, these come in metallic versions as well! All you need for that inner glow. Holy wow, this set has EVERYTHING. 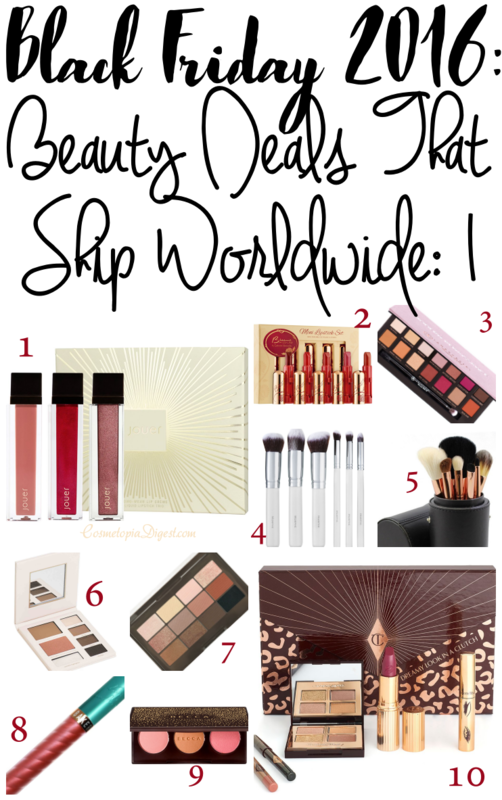 And, there isn't one Charlotte Tilbury product I've disliked so far. 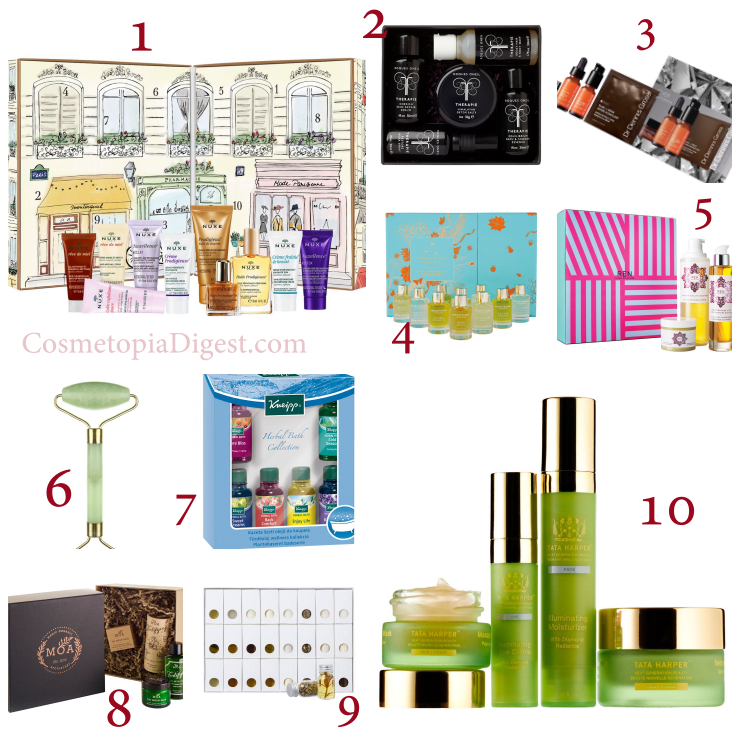 A great value-for-money beauty advent calendar from Nuxe. Five products to restore your body's equilibrium, reduce stress and guarantee a good night's sleep. My favourite retinol range now comes in a comprehensive value set. 10 miniature bath and shower oils to help you make it through the stress of the Holiday season. REN's clean skincare, combined with the divine fragrance of Moroccan Roses - what else do you need to pamper yourself? This changed my life. I use this every other day and it flattens potential bumps beneath the skin before they form. Comes in double-ended, regular and miniature versions. An absolute steal of a set. Contains six different aromatherapeutic blends to calm you down. Moa's Green Balm is a lovely multi-purpose product for dry elbows, flaky skin, reptilian legs and itchy bites. This set contains minis from the range. Everything you need for detox and pampering over the Holiday and New Year seasons. Treat yourself to the be-all luxury set this Holiday season. I highly recommend the Illuminating Moisturiser in this set. What are you going to treat yourself to for Black Friday? Stay tuned for more offers, codes and deals on this website over the next 12 hours!